each day renewing the great tradition of Stone from Liguria. Slate from Liguria. also known as Lavagna stone, is derived from clay shale of sedimentary origin. It has special physical-chemical properties that make it particularly versatile and unique, one of them being that it can be split into completely flat, thin slabs, by using just a wedge and a small mallet. Sheets obtained in this way are rather dark in colour and appear somewhat rough and scaly, aesthetically pleasing to the eye and to the touch. Ligurian slate is excavated in underground quarries following the ’lode line’. Once extracted, the blocks of slate are docked and then transported from the quarry to the production facility. Here slabs and sheets are dressed and split into various thicknesses, by means of an age-old technique. Some slabs and sheets are kept naturally split, with a traditional finish that is highly valued and gives exclusivity, elegance and character to exteriors and interiors, while others undergo modern finishing processes such as polishing, bush-hammering etc., integrating modern CNC machines with age-old, traditional craft techniques. 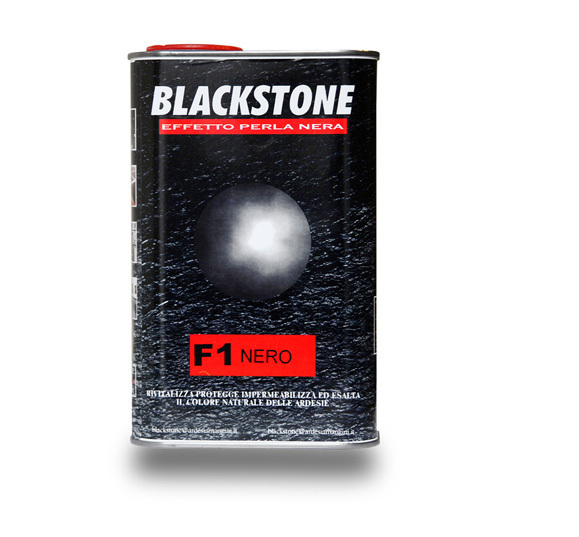 After several years of research and specific tests, we have created the most innovative product for the treatment of slate: BLACKSTONE, an extra resistant product that prevents cracking over time! It revitalizes the color of slate and protects and improves its water resistance. It contains no wax or silicone, it is colourless and has a matte or glossy finish. 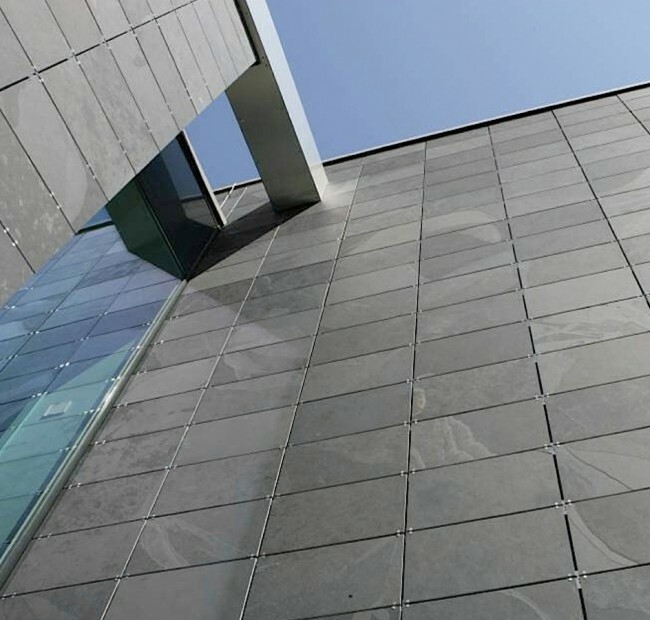 Applying Blackstone gives surfaces an attractive wet look or matte finish, which are long-lasting and enhance the natural colour of the stone without leaving stains or residue. The product is available in 1/2 litre, 1 litre or 5 litre packs. Larger amounts can be ordered using the online request form provided, indicating the number of litres required, and our best offer will be sent via e-mail. The product is ready to use, and instructions in Italian and English are given on the back of the pack. 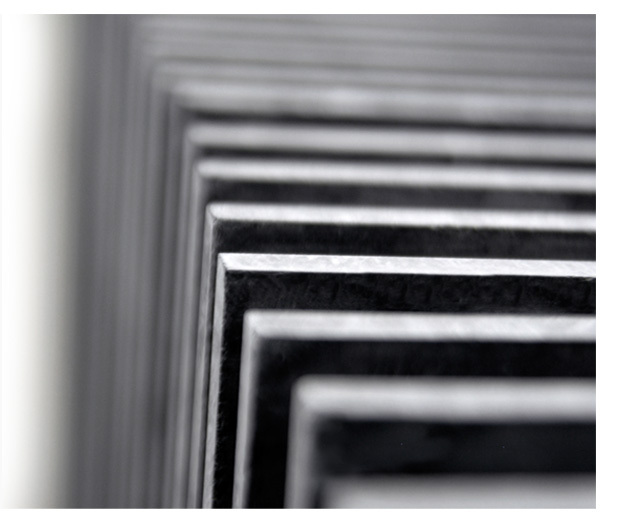 Slate is a totally natural stone and therefore environmentally friendly. It has special properties: compressive and flexural strength, impact resistance, good flexibility, it is highly polishable and almost totally water resistant, making it suitable for many uses, particularly construction. In fact it is used as a material for roofing, ventilated façades, skirting tiles, cornices, sills, steps, external paving and internal flooring. 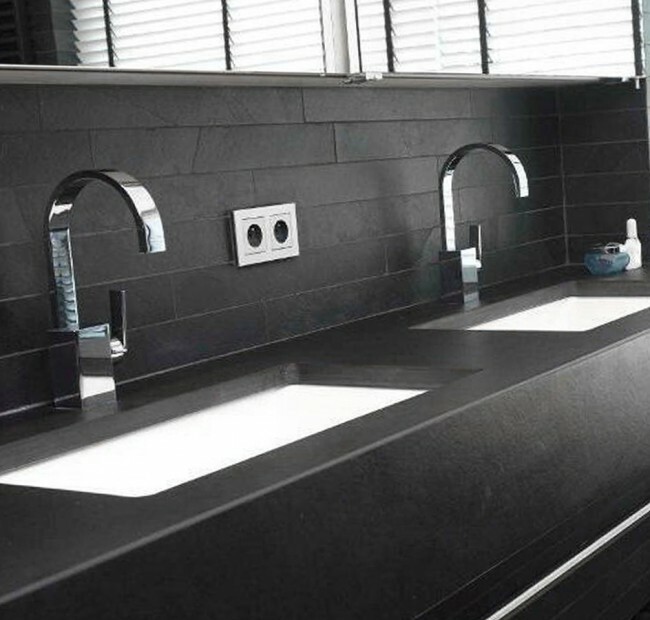 Due to its elegant and refined look, it is used successfully in contemporary architecture and design. Applications in public and residential building construction : Ventilated Façades, Roofing, external Paving and internal Flooring, Pavements, Paving stones, Doorsteps, Jambs, Portals, Stairs, Cladding. Interior Applications in commercial and residential buildings : Wall cladding and columns, classic Flooring or Raised Flooring, Bathrooms, Fireplaces, Kitchens, SPAs , Architectural Elements , Stairs and steps. Applications in contemporary architecture : Interior design features and furnishing, Shelves, Solid surface washbasins and bathtubs, Kitchen countertops, Tables, Stairs, Chimneys, Pool decks , Bar counters, solid shower trays. 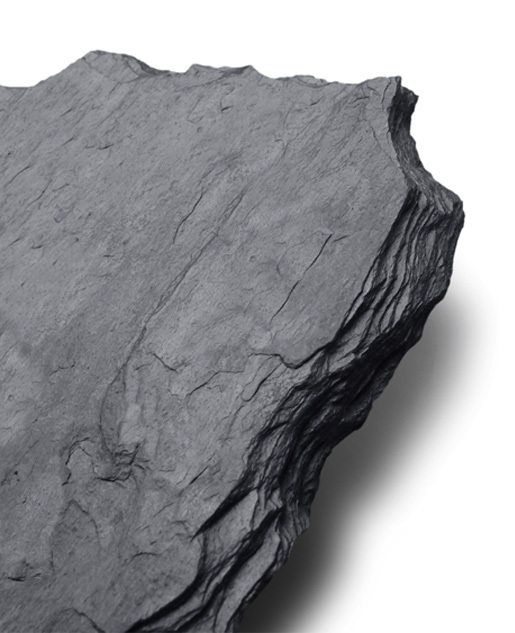 In addition to the Italian slate we produce, we distribute a range of excellent slates, from deposits located all over the world. 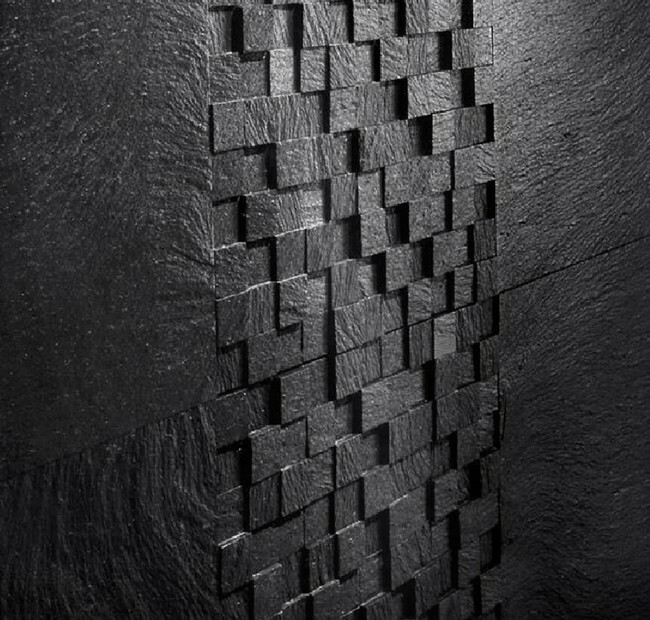 All of these stones maintain the chemical-physical characteristics typical of slate and are suitable for all applications in interior architecture and design. 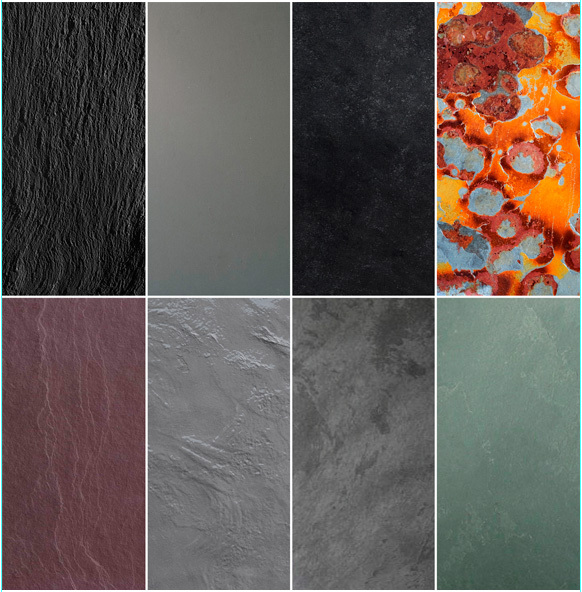 Our ARDESIA COLLECTION consists of eight types of slate in different colours .